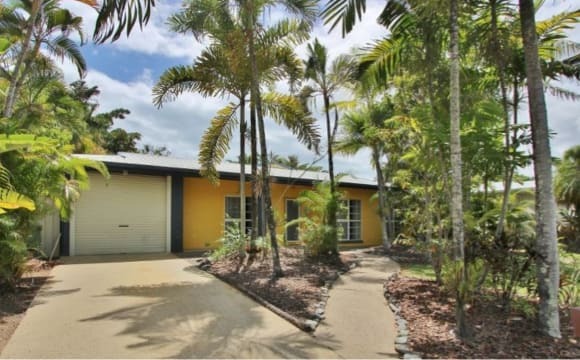 3 bedroom house in Kewarra, with just a short walk to the beach! 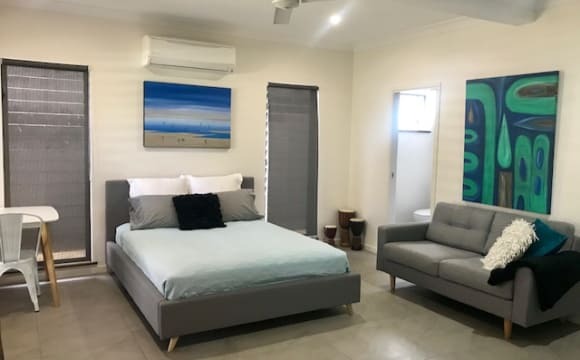 Looking for one flat mate to occupy the master bedroom (with ensuite and air con/fan) as I use the 3rd bedroom as a study. Looking for someone who is working/studying, and is reasonably clean and tidy. Newly renovated kitchen, big back yard and lots of storage space if needed! 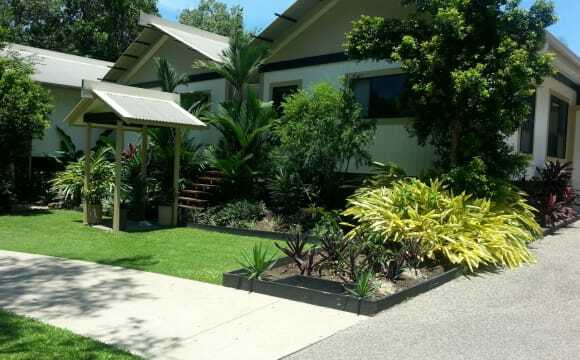 Large and spacious A/C 4 bedroom bathroom home close to beach, walking tracks, shops and transport. Large fully fenced back yard with resort style pool and ample parking. We have unlimited internet, netflix etc. 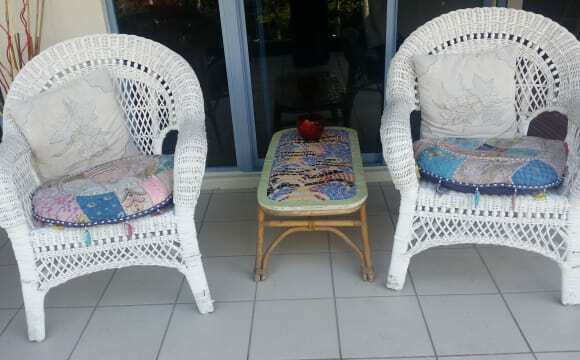 Close to the beach, and very quiet location. Grocery store / bottle shop close by. Friendly neighbourhood. 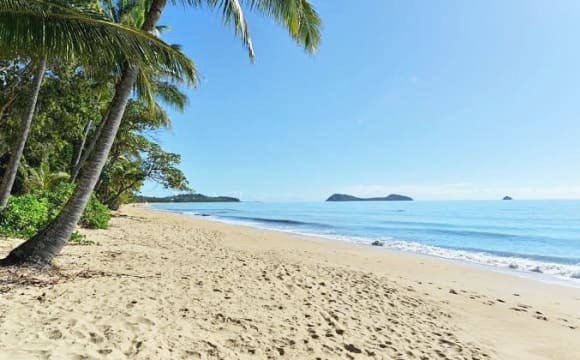 Close to several beautiful beaches, Kewarra, Trinity, Clifton, Palm Cove. Bus stop and shops, 2 mins walk from house. Short walk to Sun Pacific College. JCU and Smithfield Shopping Centre 7 mins drive away. Very welcoming, and friendly household. Relaxed atmosphere, perfect for students to study in, or someone who prefers a more peaceful, environment. Enjoy relaxing in the hammock, listening to music, watching TV, just make yourself at home! 2 very spoiled and affectionate cats share our space also! Quiet street with good views to the mountains. 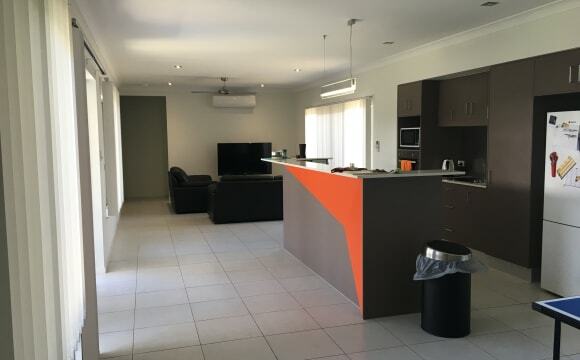 Own kitchen, fast internet, courtyard and ensuite. Great outlook very quiet nice pool close to beach. 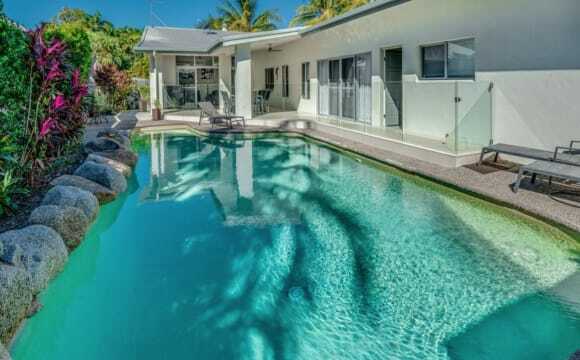 The property is located in Southern Clifton Beach, one of the most quiet and peaceful suburbs in Cairns, our neighbours are quiet and friendly people. The beach is a short walk away, which is great for walks or watching the sunrise or moonrise (which is usually magnificent). The property is slightly elevated from the street, which allows a lovely breeze. You'll have access to an in-ground saltwater pool, a barbecue, a fire area and Wi-Fi. There is a nature strip or driveway where you can park your car with no issues. It is a beautiful area. Please contact me if you have any questions or would like to come have a look at the property, thank you. Our house is located just across from the beach with only one house in front so it’s a 2 minute walk, we also live just down the road from Clifton beach shopping village. Not only is our house conveniently located but it’s also one with nature being surrounded by wallabies and all sorts of birds. We have unlimited internet, all rooms have split systems and all bills are included in the rent. Close to the beach, shops, quiet, nice area. Pool in small complex. 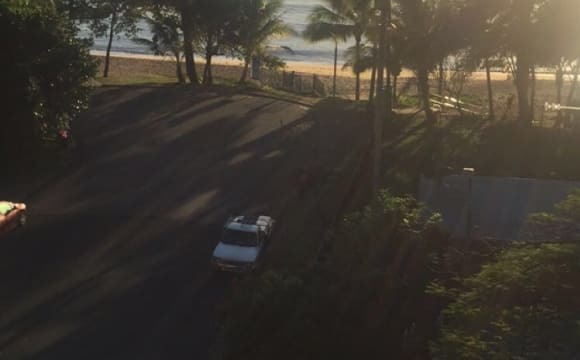 This property is located close to the beach, shopping centre and the bus pulls up out the front. There is a large swimming pool, gym and BBQ area to entertain. The bedroom is a good sized room with built-ins. 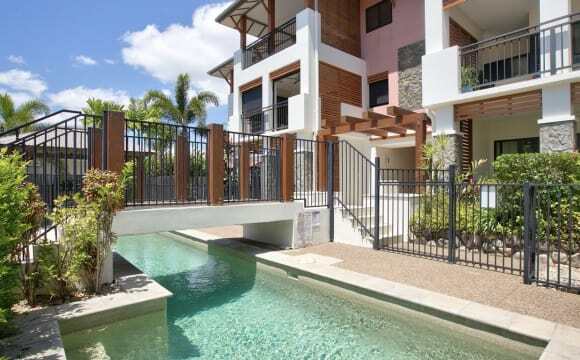 This is an amazing house designed to perfectly suit the open air lifestyle in cairns.... not to mention it's on the beach! We are at the southern end of the Trinity Beach esplanade so it is quiet with no through traffic. All levels of the house look out over the ocean and have large wooden decks. At the rear of the house is rainforest as far as you can see. The top floor is an open plan living, dinning and kitchen area and 1 bedroom with ensuite. The middle floor has 2 bedrooms sharing a large bathroom and large open lining room with deck on 2 sides facing the beach. The ground floor has parking and a storage room/cellar and the main entrance. All bedrooms have a door onto a deck. The available room currently has a double bed and basic furnishing. Also you have your own toilet but share a bathroom with 1 other female. We are flexible with dates for the right person. 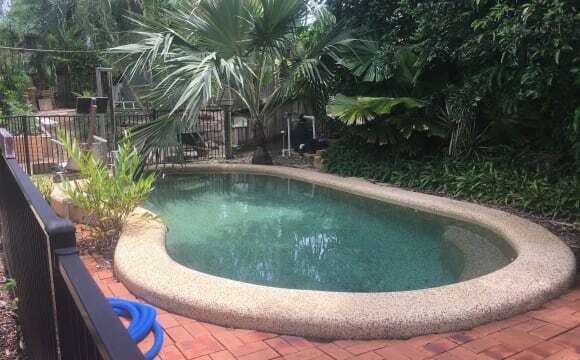 Nice house great pool, only 5 mins walk to beach shops and public transportation.Lock up garage very friendly Dogs, Aircon. Available now - This elegant studio apartment with en-suite bathroom is the ground floor of the property. It is air-conditioned, private and spacious. You will be just 15 minutes walk to the beach and very close to walking tracks and all amenities. It's a quiet street and close to the local bus stop. 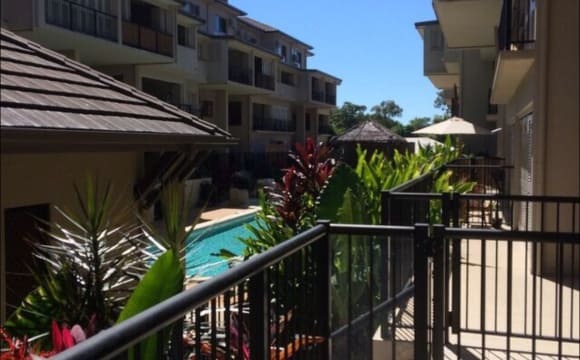 We are located about 5 minutes drive to the James Cook University and 7 minutes to Smithfield Shopping Centre. 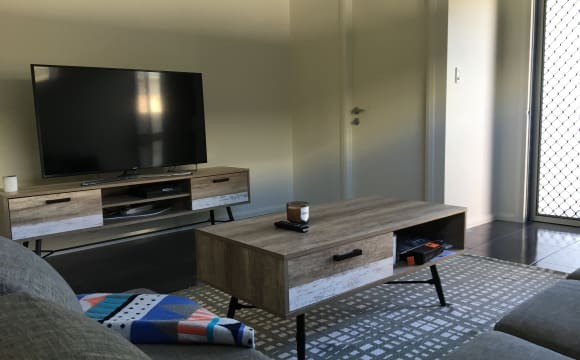 This space would suit a non-smoking student or professional visiting or living permanently in Cairns. Happy to negotiate weekly rent for FIFO worker. Internet, water and electricity is included. Large beautiful house with big swimming pool. close to the beach, big living room, garden, lots of outdoor space. Share the beach lifestyle! LAST single room available. This room is suitable for a single who like airy and spacious. Including: air-conditioned and fully furnished with new beds, mattress, sheet, blankets, and pillows. The house has an in-ground pool with a large established backyard. The backyard has a relaxed feel with an open plan living area and an outdoor patio/garden area. Plenty of space to roam around and without any pet. It is centred within walking distance to the shopping centre, and the netted beach. Offering a quiet atmosphere for students and professionals, and a couple that needs a quiet and relaxed lifestyle. Situated 20 minutes from the city, 2 minutes to Clifton Beach shops and bus routes to JCU and city. Two minutes walk to the beach swimming net, outdoor BBQ area, and an excellent dining restaurant. Fast NBN Internet is available and included. The single room is $180/w (bills included) We're adventurous housemates, outdoor trekkers, good laughs and the occasional banter. And fishing anyone? I'm looking for someone who is house trained, matured, respectful and happy. 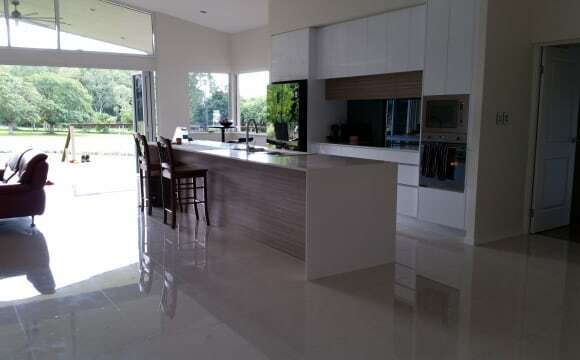 Please feel free to contact me via In-mail or mobile..
Super modern and comfortable house in Trinity Beach . All rooms are fully furnished. Includes electricty (inc/AC) and WIFI. Queen bed room $180 per week plus 2 weeks bond required. single person only apply please . I'm looking for someone who is an easy going, clean &amp; tidy person, non-smoker and must have respect for others in a share house . Prefer: mature or elderly person who wants a quiet place (sorry not party house ) I have some free range chickens in my yard .so Hope you don't mind it.... Could you please SMS or Email me if you are interested. Thank you ! Bills, A/C, Pool and lazy dog are included. Also, we have a charcoal grill/smoker or you can use the gas grills at the beach. We are relaxed and friendly and happy to negotiate some meals if you like or you can do your own thing. This awesome house is a newer style home. The bedrooms are large and each bedroom has its own bathroom with two shower heads, basin and toilet. The whole house is air conditioned. Gas water heating so you'll never run out of hot water. In the kitchen you get your own pantry space, there is a dishwasher, oven and cook top. There is a spare room for storage or the occasional guest. Outside there is a small entertainment area with a table and chairs and outdoor fridge. You also get your own undercover garage space with auto up down roller door. Washing machine, clothes dryer &amp; lounge are provided by current housemates. I am looking for a new housemate for my house at Trinity Beach. I have a great room available in my modern, air-conditioned 3 bedroom house. All the rooms have their own aircon. I have an ensuite and so the room available has shared use of the main bathroom which has a nice big shower and bath as well. 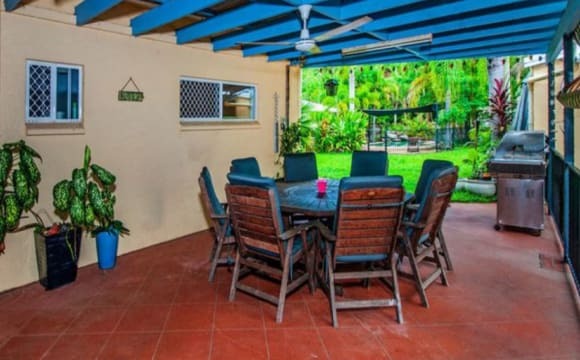 Rent is $170 per week and water, gas and unlimited NBN internet are included. Electricity will be split equally when the bill arrives. The main areas of the house are newly furnished. The available bedroom is not furnished however they do have built in closets. The house backs onto a nature reserve so there is no rear neighbours. This makes the back entertaining area a really nice place to relax. The area is really nice. The beach and Earl Hill are just a short walk away. The surrounding houses are all nice and new as the area is newly developed. The shops and university are just a short drive away of a few minutes. If you have any questions about the house, or the area feel free to message me. This is a new spacious, furnished, fully air conditioned house. Close to the Univetsity and buses. The house has everything you need. Washing machine, dryer, build in robes, PS4, home gym. 2 rooms available. Each room has a double bed with new linen. Some pets are considered. Outdoor dogs and indoor/outdoor cats. We are three girls aged 24-29 looking for preferably another girl to live with us. Your room will be unfurnished but the rest of the house is furnished. You’ll share a bath room with one girl and bills are included. It’s a pretty new house so new air conditioners are in all rooms and built in robes. We have a small backyard and two small dogs that love attention. Off street parking is available. The house is on a quiet street and close to the uni and supermarket. Hey, My partner and I are renting out one of the rooms in our three bedroom apartment in Trinity Park. We are on the top level in a spacious apartment with large balconies. The entire apartment is air conditioned throughout. In a complex of eight apartments with a bbq and pool area. 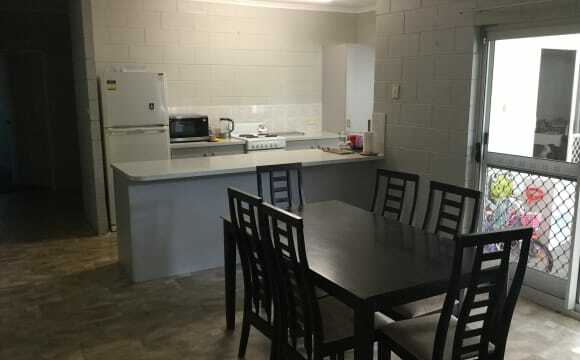 It’s close to the beach, shops and James Cook University.$200 per week, including electricity and unlimited internet. You have a view of double island and the ocean from the bedroom with a private ensuite bathroom including a bathtub and shower. 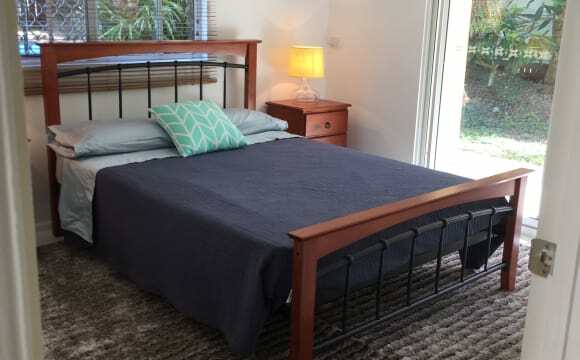 The bedroom currently has a queen bed supplied with side tables but can be removed if it is not needed. There is a nice size closet in the bedroom including extra storage room in the hallway if needed. 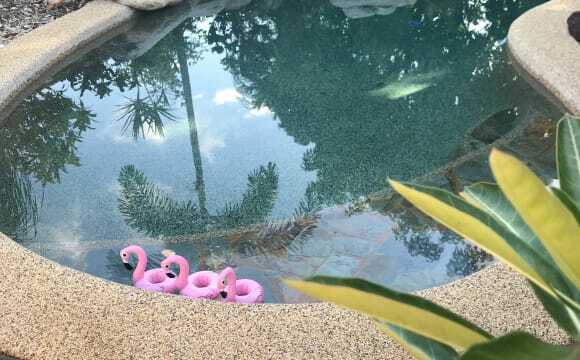 There are two stories in the house with four bedrooms and four bathrooms, a huge kitchen and a walk out to the beautiful pool which is shared with everyone. The house is massive with plenty of outdoor and indoor space with balconies on each floor. There is a large gas stove and oven in the kitchen and three fridges for use for all. Air conditioning units in every room with ceiling fans and windows. 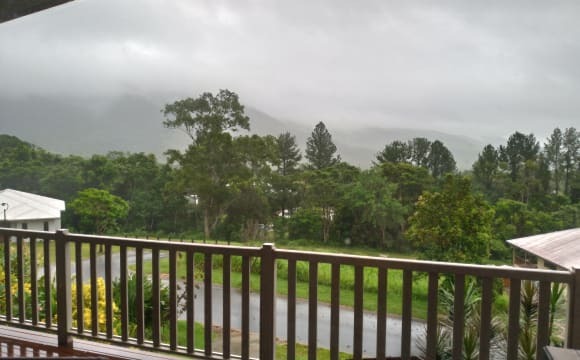 The house is near the top of Yorkeys Knob with an unobstructed view of the north up to Cape Tribulation on a clear day and double island and the northern beaches. The house is surrounded by rainforest on either side. This room has had lots of inquiries and won't last long. Please send us a message telling us a bit about yourself, and let's arrange a time to meet. This is a huge house! The ceilings are nice and high and your room is particularly large so you get that nice relaxed feeling Ducted air con throughout the house so you can stay nice and cool from the Cairns heat during summer Relax in the pool when you've got a spare moment Fire up the BBQ and use the outdoor entertaining area when you want to have friends over If you ever get hungry and don't feel like cooking it's a 5 minute walk to the middle of Palm Cove Esplanade for a solid range of cafes and restaurants. (It's nice place to run along as well) You'll have your own bathroom Fully furnished so you shouldn't have to worry about bringing anything extra besides your pillows! The street is quiet as it's not a thoroughfare and there's plenty of parking either in the generous sized carport or on-street. All you need to do is move in, do your best to clean up after yourself, and help out mowing the grass when it gets too long! NB. Just so you know when applying, you'd be taking over my part of the lease that lasts until mid-Nov 2020. This means that you'll need to fill out some paperwork (ID check, rent history, financial circumstances) to apply directly to the Real Estate agent and be accepted before you move in. Lovely spacious two bedroom, two bathroom apartment. One street back from beautiful Yorkeys Knob beach. Close to the bus stop, shops and community facilities. Quiet location. Huge balcony overlooking tropical garden. Swimming pool. You don't need to bring anything but your suitcase. Everything provided. You have your own airconditioned bedroom and large bathroom.